Sporting clubs can use the sports noticeboard to registrater members online. Allow multiple people to process the new registrations online. Simply insert a link on your club website to the sportsnoticeboard. 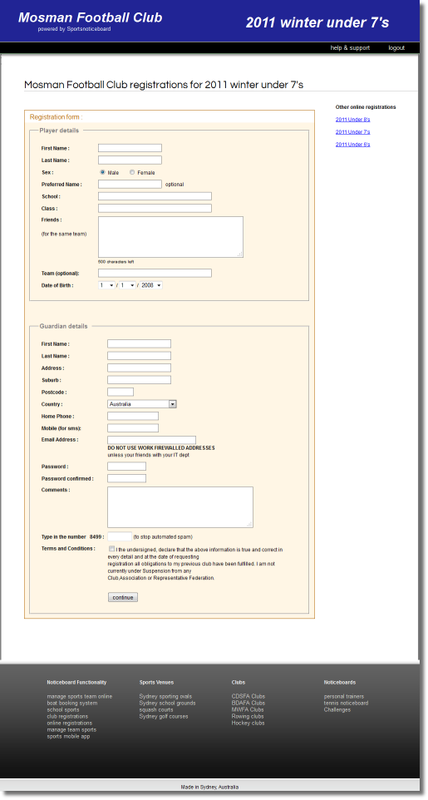 Design the look and feel of the registration form. Parents can register their children for club sports. Export registrants in csv excel files. Allocation and organisation of teams. Intergrated into the sports noticeboard.